Tony Thomas is driven. Based out of beautiful Miami Beach, FL, Tony is a self-made success story. The founder of Tony Thomas Sports, Workout Your Wealth and Fitness Kittenz is also a personal trainer, an online fitness guru, plus the owner and co-founder of Beat The Gym. In fact, the trendy Miami lifestyle magazine Ocean Drive has featured Tony as one of the “6 Notable Miami Men Who Are Setting The Bar For Success”. 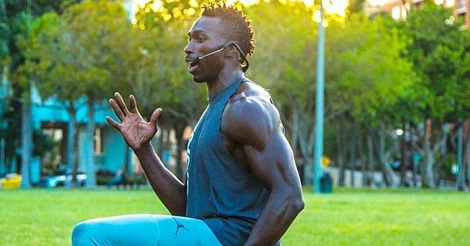 But what really excites him is sharing his strategies for success with others, from up-and-coming sports figures and celebrities to the thousands and thousands of everyday people who have benefited from his YouTube fitness videos, or who have been part of his Beat The Gym fitness classes. It was the unique format of his BTG classes that first brought Tony to the attention of Samson, and he was kind enough to tell us more about himself – and how Samson became a part of his success story. Born in New York City, Tony credits his parents for getting him involved in sports at an early age, which in turn encouraged him to adopt his healthy and active lifestyle. That commitment to fitness earned him a Division 1 scholarship to attend the University of Delaware and later the University of Charleston. In addition to playing basketball for both schools – standing at about 6’ 5” – he was a solid student, earning a B.S. in Sports Medicine. The next stop for him was Miami. At the University of Miami, Tony continued his studies in the health sciences, and became a Strength and Conditioning Specialist under the auspices of the National Strength and Conditioning Association (NSCA). What began in 2007 as a personalized YouTube channel for exercise technique videos has blossomed into the umbrella for all of Tony’s professional activities. 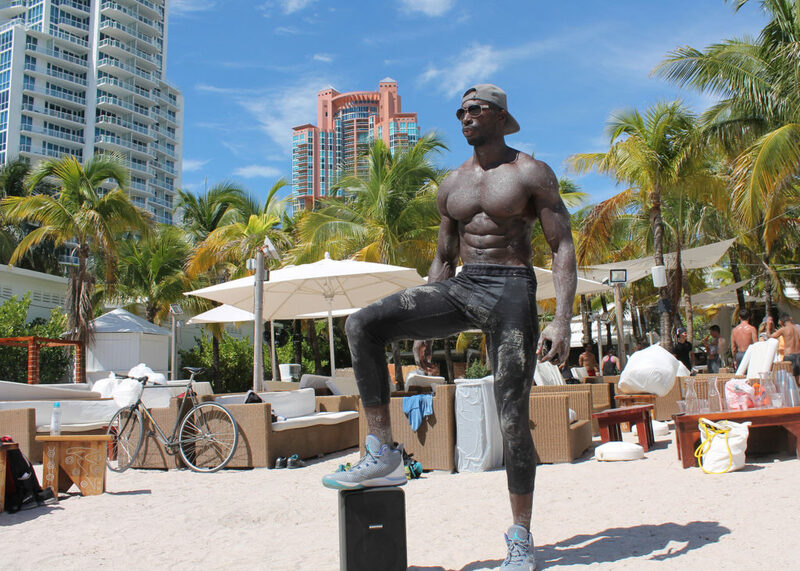 He started the Tony Thomas Sports channel on YouTube as a way to help get his name out into the fitness community in Miami Beach and beyond. 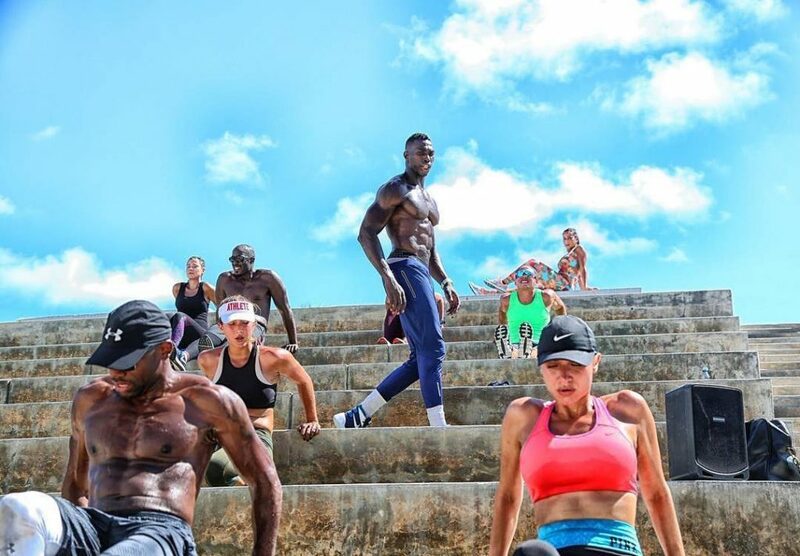 As Tony recalls, things went slowly at the beginning, but as things grew, he found himself developing personal training programs for sports figures such as Kevin Hart, LeBron James, Dwayne Wade, Tyrese Gibson and others. That same YouTube channel now has nearly 10,000 subscribers with well over three million views. He also developed his REV (Reaction Explosion Velocity) Strength Strategy to condition athletes of all types to achieve optimum performance. But he soon realized that there was a larger audience for his active lifestyle and sports performance message. Beat The Gym was created to provide class-style instruction and drills in a friendly, encouraging environment – outside of the traditional “gym” model. Tony and four other instructors conduct their Beat The Gym classes outside, in a handful of Miami’s idyllic parks. The unique format is affordable, convenient and brings together people sharing the same lifestyle goals. Fitness Kittenz and Bikini was formed as an answer to the exclusive needs of female athletes, celebrities and exercise enthusiasts. Fitness Kittenz also distributes a line of branded swim and sportswear. One of the final pieces of Tony Thomas Sports is a program called “Workout Your Wealth”, a program he takes great pride in. Here he is able to share long-term financial planning and wealth strategies with younger athletes entering the world of professional sport. As Tony sees it, longevity is a concept young athletes may find hard to understand, and he is ready to offer his guidance for building long-term strategies for wealth – and health. Tony appreciates the format of the Beat The Gym classes. “I honestly love to work on the go,” he says. “I try to make my classes as personal as possible. I make [it] feel like they are getting individual attention by being precise with the workout protocols and constantly asking questions about each individual’s progress.” For Tony, a successful class is a 2-way street, providing constant improvement and refinement. “I do a Q&A after every class,” he says, “because I think listening to what they need creates value when prescribing exercises from my CoreT4 system.” Part of this intense communication relies on the Samson Expedition Escape portable PA system. The best microphone cable is often no cable at all. Cables are unsightly, can become damaged, and seem to tangle all on their own. 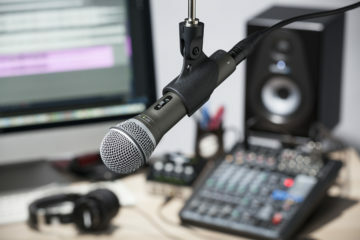 Using a wireless microphone is often the solution where mobility and untethered freedom are of the utmost importance. 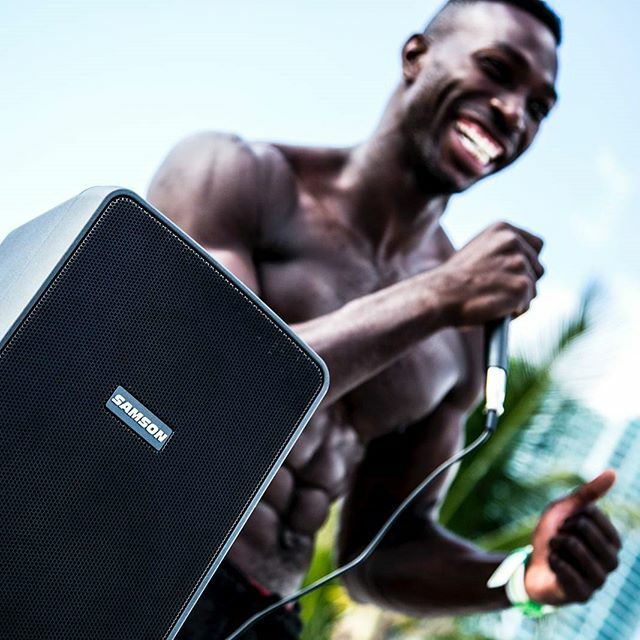 Tony relies on the easy-to-use Samson AirLine 88 Fitness Headset wireless microphone system to provide a clean, reliable audio connection – with no cables. “Such a cool tool to use,” he says. “You get amazing distance and there are no wires to trip over. Just put it on your head and you’re ready to go.” To keep up with his motion and agility, the system’s unique AH8 Fitness Headset attaches snugly behind the head. Unlike other wireless headset microphones that require a separate transmitter pack, the rechargeable AH8 is an all-in-one package – a distinction Tony fully appreciates. “It’s an amazing feature that allows me to focus more on delivering instruction to my fit family, without any constraints,” he says. Together, the receiver and headset provide a 300’ operating range (line-of-sight) and can operate on any of its 16 channels to deliver optimum fidelity. IR (Infra-Red) pairing assures a positive lock between the headset transmitter and the receiver base. Back home, Tony continues to self-produce his unique fitness videos for the Tony Thomas Sport channel on YouTube. The latest addition to his Samson equipment stash is the Go Mic Mobile – the first professional wireless system for mobile video. This compact, 2-channel wireless receiver delivers a clean, low-latency digital audio signal directly to any iOS device, smartphone, tablet or laptop via a single micro USB cable – Lightning, USB Micro B and USB-C cables are also included to ensure the proper connection. Using the adjustable bracket arms and/or hook-and-loop fasteners, Go Mic Mobile connects securely to any smartphone or tablet. 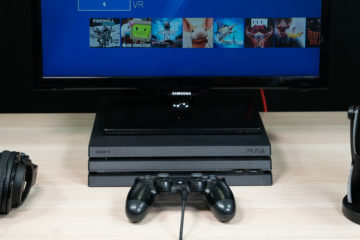 The rechargeable lithium-ion battery keeps the system running for up to 13 hours. “I’m a creator, and I love to do videos and tutorials,” avows Tony. “I think Go Mic Mobile will help me when I’m on the go, doing all the fun stuff that makes Tony Thomas Sports unique.” The Samson Go Mic Mobile operates in the 2.4GHz wireless band with a 100’ range (line-of-sight), automatically seeking out the cleanest available channel to deliver remarkable clarity and fidelity.